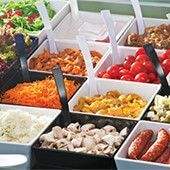 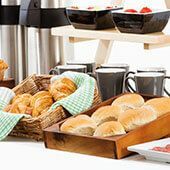 Our food display products provide the very best for the catering trade, with a wide range of items to help establishments present food to the highest standards possible. 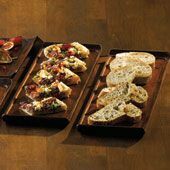 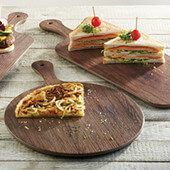 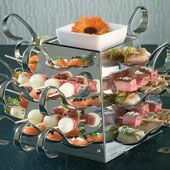 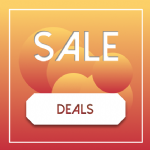 Our comprehensive selection of display crockery, serving dishes, bread baskets and cake stands provides an attractive and eye catching base for presenting an assortment of food items on constant display. 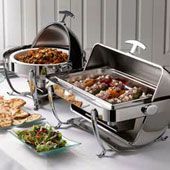 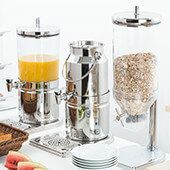 Most of our other food display products provide the ideal equipment for buffet presentation, featuring large chafing dishes and fuel from our traditional and electric range, as well as stainless steel display trays for serving canapés and appetisers at functions and formal events.